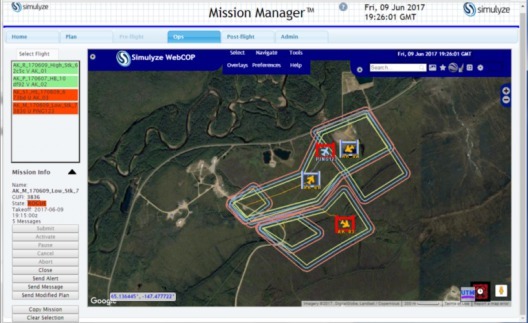 Simulyze, Inc. devises data-based application, analysis, and management programs for “Large streams of data from various sources in relation to BVLOS, and visualizes all aspects of multiple flight operations in a single, customized graphical interface,” their Mission Insight application. BVLOS – Beyond Visual Line of Sight – may become the most important abbreviation in the unmanned aerial system’s (UAS’s) lexicon. It has only been a few years since a George Bye-initiated program put the Silent Falcon solar-assisted drone on missions in Canada by Silent Vectors. Those missions involved checking on the health of oil and natural gas pipelines, surveilling wildfires, and daring other far-flung forays. 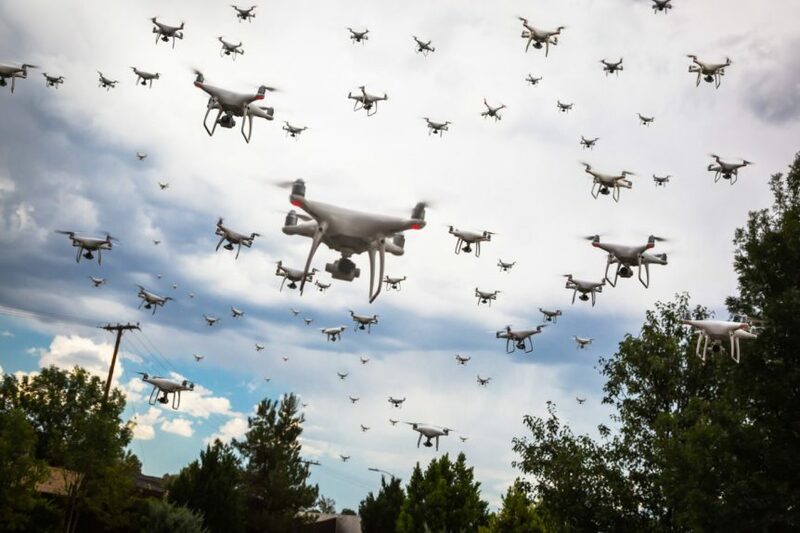 Obviously, having a drone beyond visual and radio range means relying on its programming and autonomous abilities – a great deal like trusting a homing pigeon to find its way home. Drones can pop up in front of even the most conscientious pilot too quickly to avoid, and whether the UAS is accidentally or deliberately vectored into the oncoming plane is almost incidental. Anything that can keep two UASs or an airplane and a UAS apart is much to be desired. With emergency response drones, delivery drones, and hobbyists competing for space, how will we control future skies? Test flights in Alaska and North Dakota allow early demonstration of system capabilities in relatively unpopulated areas. As operators and databases become more informed, real-time analytics will enable moves to more crowded skies. As with jazz, what sounds like improvisation is often formed on a solid, well-rehearsed base that enables occasional departures from the score, but relies always on careful planning and disciplined execution.